One of the ways that CityGrows helps make local governments employees' jobs easier is through our automatic email notifications. 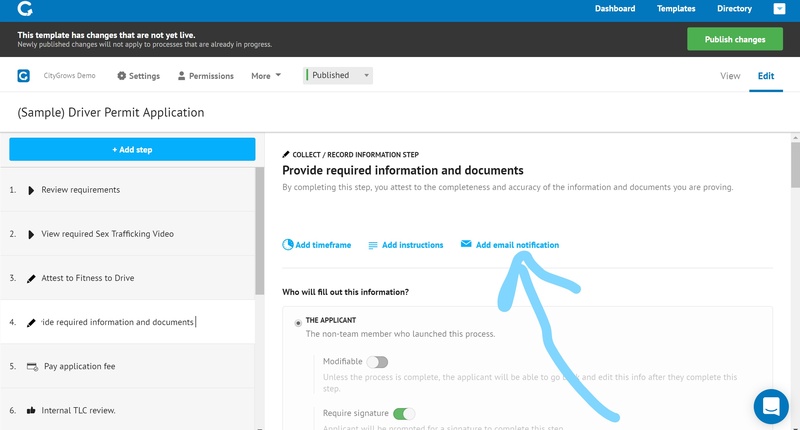 You can set up notifications to go out for each step of your process, either to the applicant (the person or business who launched the process) or to the administrators (your team members who are included in the "Permissions" for that template). When you're in the "Edit" view for an individual template, at the top of each step you'll see a link to "Add Email Notification." 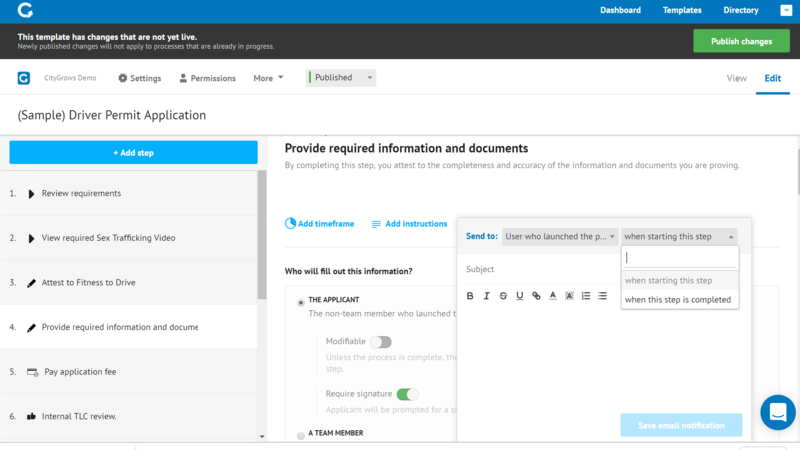 Once you click that, you'll see options for who the email should go to - either the Applicant who launched the process, or the Template Admins. Your next option is whether the email will go out at the beginning or the completion of the step. And once you select these options, you can type in the Subject line and the content of the email. These options allow you to alert coworkers when a process is completed (e.g. a permit is issued) automatically. Or you can use this function to notify an applicant of when a mandatory public notice period is beginning and ending. We're looking forward to hearing about how you're using our email notification functions. Please feel free to share more on our Forum - and we'd also like to hear if there is more email functionality you'd like to see. Reviewers will always receive an email when it's their turn to review something. 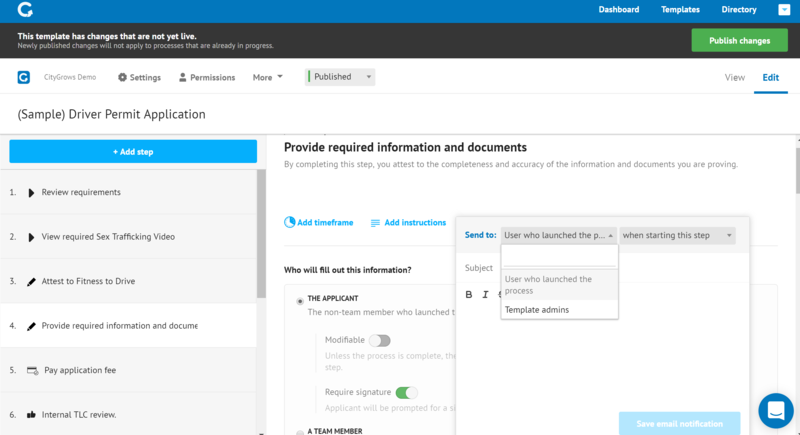 All admins on a process template receive notifications when a new applicant or internal Discussion is launched. Pro tip: If you want someone to be able to view a template, but not receive all the emails associated with it, they can be a "Team" member but not be added on the Permissions list to that individual Template.